A stock aircraft called 77 Industries - CTR2 1.0. Built with 401 of the finest parts. 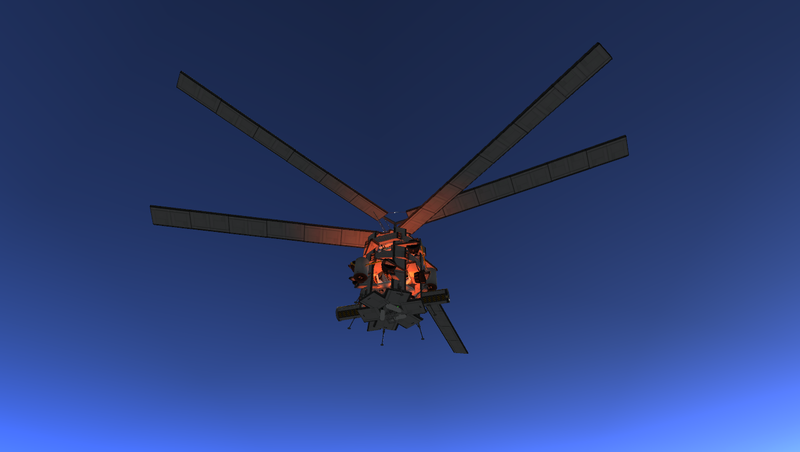 Read about it in my topic on the forum: http://forum.kerbalspaceprogram.com/threads/109742-STOCK-HELICOPTER-The-First-Turboshaft-Coaxial-Rotor-System!